For those interested (I’ve posted several interviews in the past couple of weeks, so this may be redundant), I’ll be appearing on the Jim Bakker show Tuesday and Wednesday, April 25-26. We recorded these shows on Good Friday. Both interviews include Derek Gilbert and Tom Horn. This was my first visit to the heart of the Pentecostal zone in what I affectionately call Christian Middle Earth. (Click here for a fun explanation of the metaphor). I have some thoughts on the experience, which was a positive one across the board. I was hesitant to do the interview because of Bakker’s past. I had a while to think about it because my publisher let me know that this was a show with which they have a friendly history. The more I thought about it, my resistance started to feel a bit ungodly. I really don’t know what more Jim Bakker could do to demonstrate repentance. How many people produce a 600-page book entitled “I Was Wrong” and publicly turn from what he had promoted (the awful, manipulative prosperity gospel)? In modern terms, I though of someone like Chuck Colson as an analogy. In biblical terms, it felt like rejecting someone like Matthew or Zaccheus, both of whom were naturally hated by their peers. My takeaway after meeting Jim was that sometimes people really mean it when they acknowledge their sin and repent, and sometimes people really do learn their lesson. I wasn’t sure I’d feel that way before agreeing to the interview, but I did. For sure Jim is no theologian. But he doesn’t pretend to be one. He had no interest in trying to make me think he was something that he wasn’t. He kept reminding me that he wasn’t a biblical scholar in the green room before and in-between shows. Consequently, those who are familiar with the content of The Unseen Realm, Supernatural, and Reversing Hermon will hear him get some things wrong during the shows. There were points of the content he didn’t process as well as I’d like, but the lesson here is that he made the effort. He and I would of course have theological disagreements (something I whimsically suspect is true with respect to any host of any show I’ve ever done). I’m also generally wary of Pentecostalism because of the New Apostolic Reformation, one of its sub-cultures whose theology I can neither exegetically defend nor endorse. But it’s crystal clear to me that if anyone in Christian Middle Earth needs a good dose of solid academic content on the spiritual world it’s this audience — the Pentecostal wing of Christian Middle Earth. They aren’t going to come to me, so I need to go to them — or just let its constituents think poorly about Scripture. I can’t be part of the solution if they are never exposed to what I write. 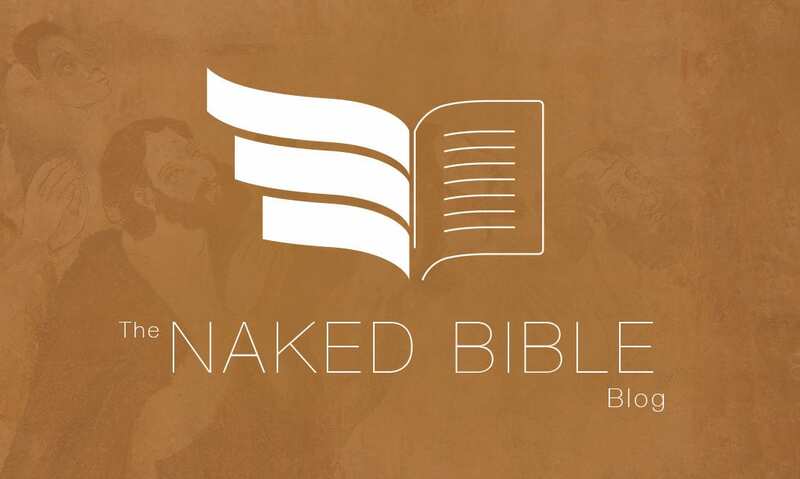 To be bluntly honest, there are a lot of churches, pastors, and Christians with public profiles with whom I am more comfortable — and who know me — who haven’t lifted a finger to help promote any of my books or the Naked Bible Podcast. My audience already knows why — my work challenges their preconceptions and doesn’t make their denominational preferences feel more secure. I’d rather have someone willing to learn who might not process everything the way I’d like than have someone who could understand the material well refuse to help me get the content to more people because they don’t want to feel the disapproval of friends. Only one of those options is useful for helping more people think well about Scripture, and that’s what I’m about. Hopefully this will be a start of helping believers in this Christian context get exposed to what they’ve been missing in the biblical text and experience the thrill of discovering biblical theology.